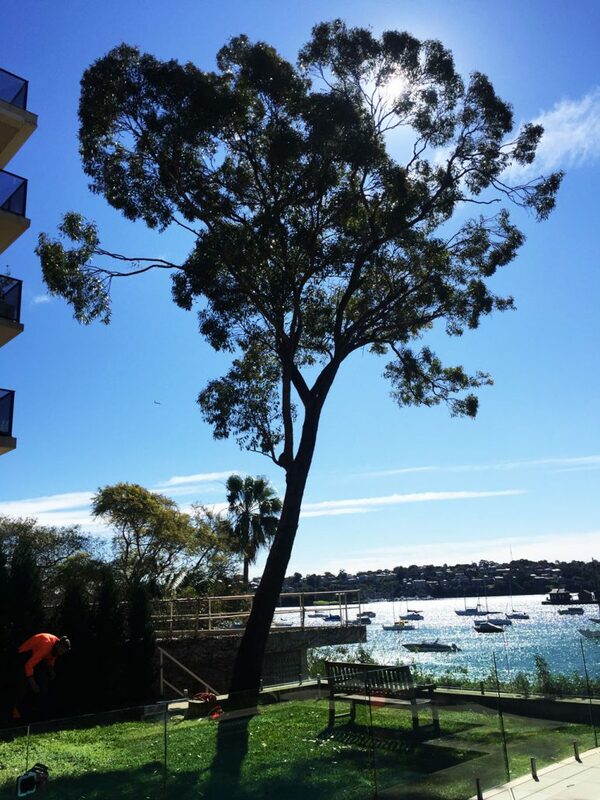 Drummoyne has some spectacular harbour views, but these can often be hindered by the foliage of trees. 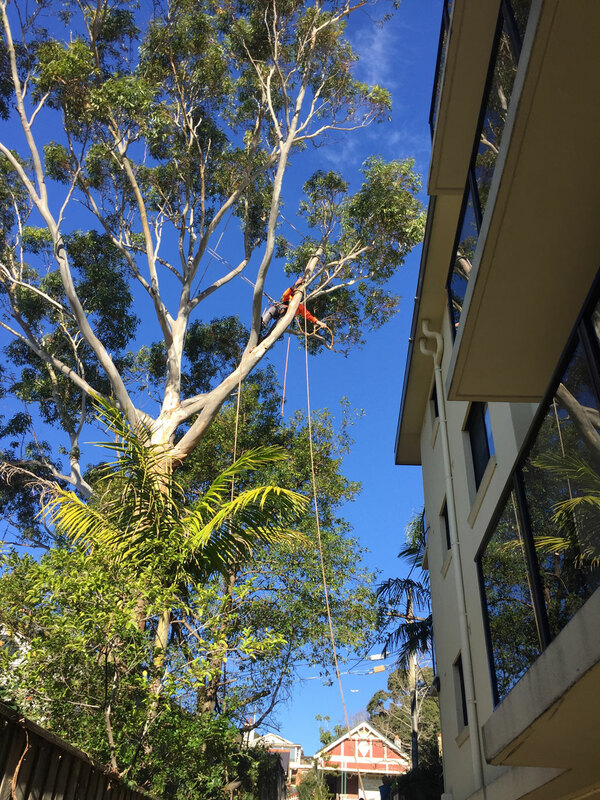 We pruned some gum trees in Drummoyne so as to clear the roof-line of some units, and restore much of the view for many of the residents. Near the water’s edge, another gum provided shade but also blocked the view for residents in the unit block behind. Keeping the canopy high is a good solution in this situation.